Leadingcourses.com is rapidly connecting to more and more tee-sheet providers throughout Europe. We are proud to announce that golf clubs using tee time management software from Concept are now able to tap into the Leadingcourses.com community. 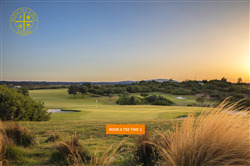 Many Portuguese golf clubs use Concept and the first to open up their tee-time inventory on Leadingcourses.com is Espiche Golf. Many other golf clubs like Vale do Lobo, Boavista Golf Resort, Quinta do Lago and La Cala Resort in Spain will be connected in the next weeks. Opening up a tee sheet to green fee players is quite easy if you are using proper club management software, like Concept. A golf club is always in charge and can decide which slots to open up to the general public. The golf club also determines the minimal selling rate (if any) and the tour operator rate (or commission percentage) for Leadingcourses.com. The higher the commission, the more we can invest to actively sell tee times. Goals of the golf club and Leadingcourses.com are aligned: we both want to sell as many tee times as possible. Booking a tee time is great for golfers and golf clubs; below some obvious advantages of online tee time bookings. Connecting to the Leadingcourses.com platform is free of charge for clubs. The whole integration is done by a dedicated and experienced team within Leadingcourses.com. As mentioned before, the only gain for Leadingcourses.com is that they will receive the difference between the tour operator rate and the selling price. For a golf club there is little risk. If the connection is succesful, both Leadingcourses.com and the golf club will gain. The commission has to cover development costs, marketing costs, 3rd payment fees (i.e. credit card), a connection fee and customer support & aftersales. Our goal for 2019 is to connect as many golf clubs as possible in Spain, Portugal, France, Italy and France, thus helping golfers to book and play where they want while generating more income for golf courses. We want to be different by providing golfers with an excellent user experience and great service. If golf clubs are interested to connect their tee-sheet directly to the Leadingcourses.com community, then please contact Leadingcourses.com. As Europe’s largest golfing platform Leadingcourses.com currently unites 400.000 monthly golfers in their quest for where to play next. They are inspired by over 385.000 reviews of golf courses worldwide which helps them to discover new courses and to obtain a good understanding on what to expect. We are now on a quest to help our thriving community of likeminded golf enthusiasts to book their tee time online, safe, convenient and at a fair price. Leadingcourses.com is currently available in 9 languages and we compare more than 25,000 golf courses in 148 countries. Concept, a Shiji Group Brand, is a truly global hospitality technology provider specialising in solutions for the Golf, Spa, Leisure and Resort market. Today, Concept has high-profile clients in nearly 70 countries worldwide, with software available in 15 different languages and a global support network to match.